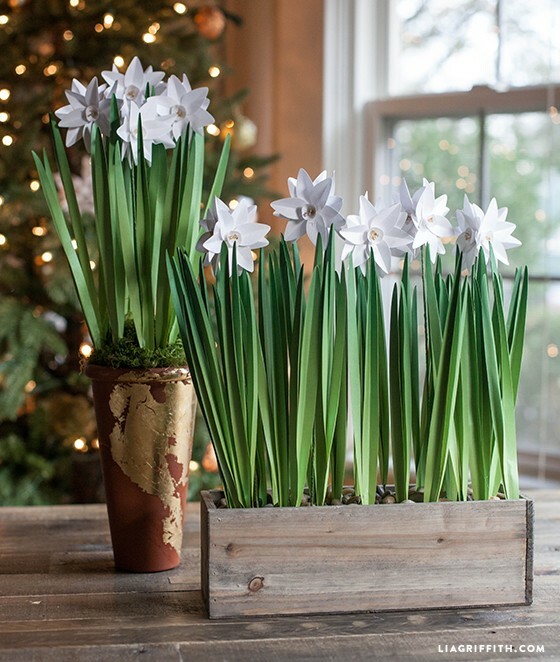 I am loving these happy and bright paperwhite flowers for my Holiday decor. 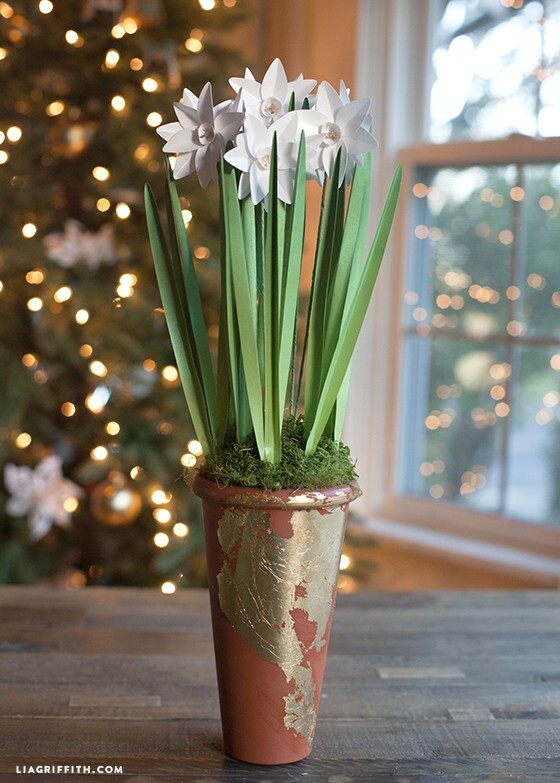 You can find a video I filmed with Creativebug for these pretty winter flowers is now live on their site! This video was filmed in partnership with Cricut so not only can you watch the video tutorial with a subscription, but the PDF and SVG files are just below for FREE! For a minute you had me worried about having a video but I see the printed tutorial. Living off the grid has it down side like not having enough computer time to watch videos so keep doing the printed tut for me! These are so pretty and thank you for sharing. We are so glad the printed tutorials are most helpful to you. Thanks for your positive notes.